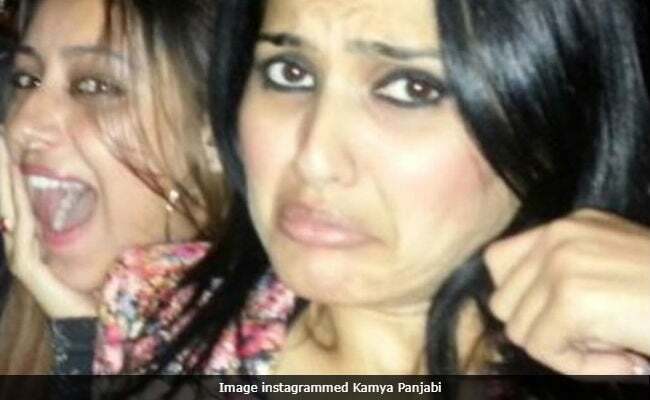 Kamya also wrote "you better don't rest in peace"
On Pratyusha Banerjee's second death anniversary, actress Kamya Panjabi instagrammed a photo of herself with the Balika Vadhu actress and wrote: "You better don't rest in peace." Kamya in a lengthy Instagram post urged people to value their lives because "Aapki jaan ki yaha koi keemat nahi hai, people forget and move on." Pratyusha Banerjee committed suicide on April 1, 2016. Pratyusha and Kamya met on reality show Bigg Boss. "Don't laugh, I'm not giving up, yes your parents are miserable but "I have complete faith in our juridical system," aise hi bolte hai na? To hell with that, value your life kyuki aapki jaan ki yaha koi keemat nahi hai, people forget and move on and you... you better don't rest in peace... Nothing and nobody is worth your life! Because when you die, there are hell lot people die with you! Breathe, stay alive!!! Life is beautiful," Kamya wrote. On Pratyusha's first death anniversary, Kamya had released a short film Hum Kuchh Keh Naa Sakey, which is believed to be one of the late actress' last projects. The story of Hum Kuchh Keh Naa Sakey's protagonist (played by Pratyusha) appears similar to her alleged troubled relationship with her rumoured boyfriend. Pratyusha played the role of Anandi, the protagonist of Balika Vadhu, for three years from 2010 to 2013. She participated in reality shows such as Jhalak Dikhhla Jaa 5 and Bigg Boss 7. She briefly played the role of an antagonist in Sasural Simar Ka. Did Rahul Raj Singh, Who Was Dating Pratyusha Banerjee When She Died, Just Announce His Wedding?